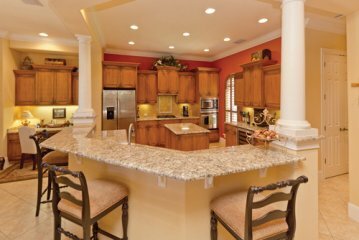 Attractively priced for quick sale! Owner relocating! 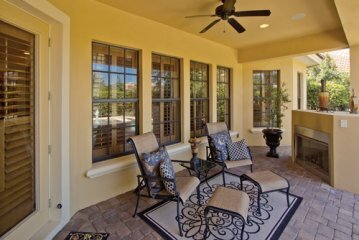 Professionally decorated with beautiful high-quality furnishings in exciting open floor plan under voluminous ceilings! 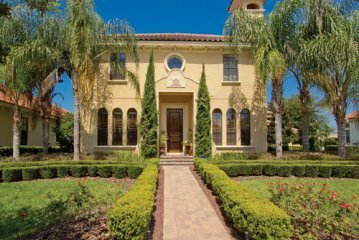 Two-story Foyer & Living Room with winding, open staircase to Balcony & secondary Bedrooms. Custom chandeliers. 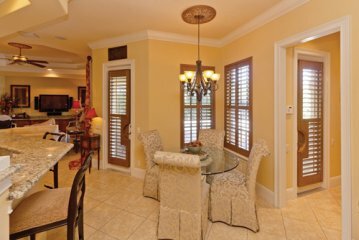 Exquisite custom window coverings & plantation shutters throughout. 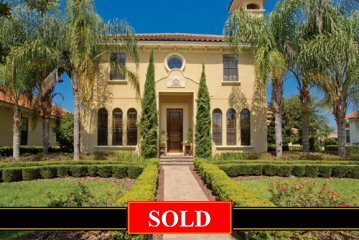 4 Bedrooms - 4 Baths + Office with rich wood floors! 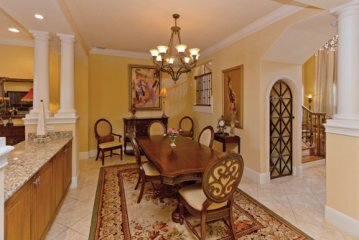 Dining Room defined by stately columns with fabulous 7' long granite built-in server, iron chandelier. 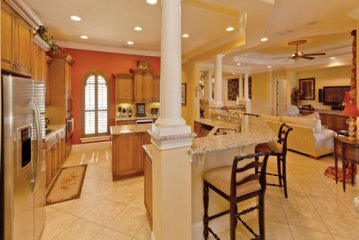 Family Room and eat-in Kitchen open to each other. 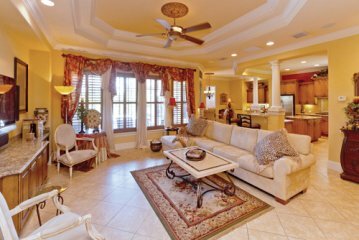 Family Room boasts 13' built-in console for entertaining with large screen T.V. above! 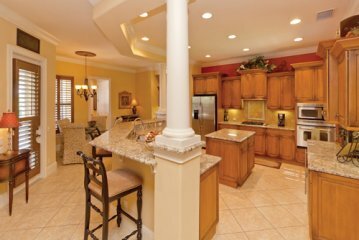 Kitchen offers gas cooking, stainless appliances, message center/desk, granite serving bar with storage below and wine cooler! 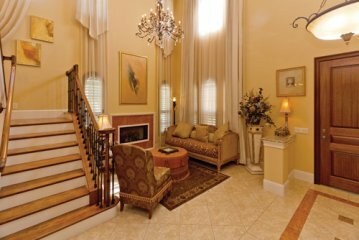 19' Master with ceiling-to-floor draperies. 3 Bedrooms on 2nd floor. 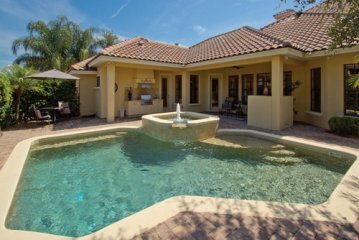 Full pool bath with shower! 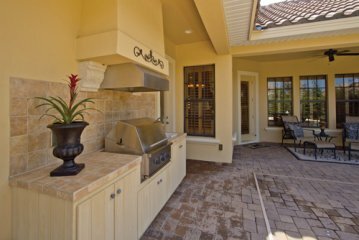 Large covered Terrace with Summer kitchen, grill. Pool! Spa! 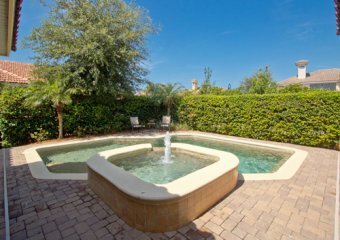 Rear yard completely fenced with mature privacy landscaping! Rear entry Garage is custom fitted with fabulous Garage-Teck flooring (very expensive!). 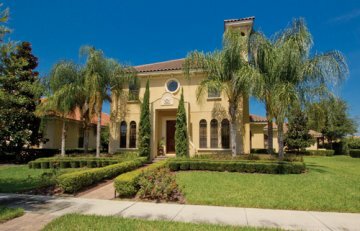 Owner's 2nd home - Seldom used - Looks new ! Extraordinary quality & design for this price. Be sure you don't miss this opportunity!